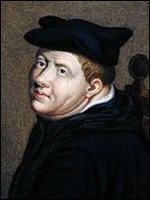 Bishop John Rogers was the first Protestant to be condemned to die by the courts. Rogers told Bonner that he had only one request to make, and asked that before he was burned he should be permitted to receive one farewell visit from his wife. His request was refused and he was burnt at Smithfield on 4th February 1555. He was followed five days later by Bishop John Hooper, Rowland Taylor and Laurence Saunders. On 21st March, 1556, Thomas Cranmer was brought to St Mary's Church in Oxford, where he stood on a platform as a sermon was directed against him. He was then expected to deliver a short address in which he would repeat his acceptance of the truths of the Catholic Church. Instead he proceeded to recant his recantations and deny the six statements he had previously made and described the Pope as "Christ's enemy, and Antichrist, with all his false doctrine." The officials pulled him down from the platform and dragged him towards the scaffold. Edmund Bonner, bishop of London, who took so prominent a part in the persecution of the Protestants during Queen Mary's reign, was born at Hanley in Worcestershire about the year 1500. 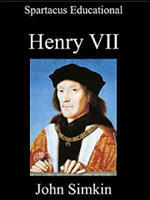 He was educated at Oxford and, having been admitted to the priesthood, entered the household of Cardinal Wolsey. All through Henry's reign, Bonner appeared to be very earnest in his opposition to the pope and strongly in favor of the Reformation. Upon Henry's death, however, he refused to take the Oath of Supremacy for Edward and was sent to prison until he agreed to be obedient to the new king, was released, and later imprisoned once again until Queen Mary took the throne. Mary saw just what she needed in Bonner, who threw himself into the work of persecuting the Protestants with all his energy. 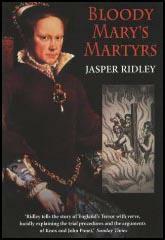 It's said that two hundred of the martyrs of this time were personally tried and sentenced by him. Bonner was a harsh, persistent man, with no pity or compassion for the people brought before him. Nothing short of complete surrender would satisfy Bonner. So far did his rage against heresy carry him that he is said to have caled for rods and beaten stubborn witnesses himself on several occasions. (2) John Foxe, Foxe's Book of Martyrs (1563) page 248 of 2014 edition. (8) John Foxe, Foxe's Book of Martyrs (1563) page 248 of 2014 edition. (11) John Foxe, Foxe's Book of Martyrs (1563) page 121-122 of 2014 edition. (13) John Foxe, Book of Martyrs (1563) page 217 of 2014 edition. (17) John Foxe, Book of Martyrs (1563) page 219 of 2014 edition. (19) John Foxe, Foxe's Book of Martyrs (1563) page 248 of 2014 edition. (21) John Foxe, Foxe's Book of Martyrs (1563) page 249 of 2014 edition.